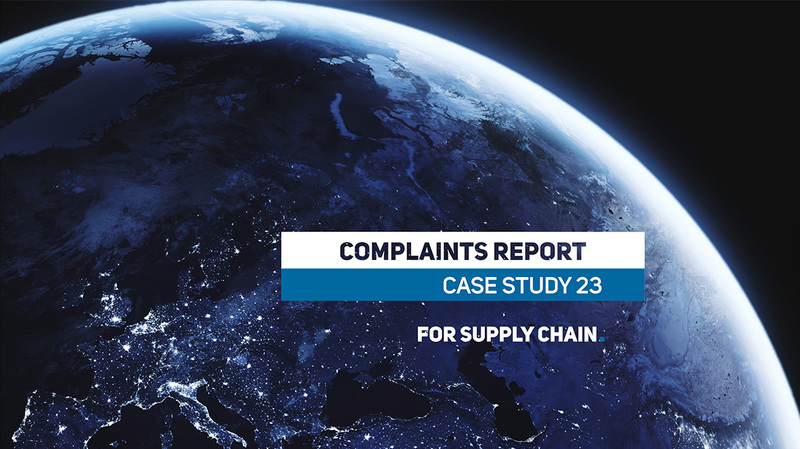 Customer complaints may be related to the work of various departments of a company, including the logistics department. For our client, a B2B company, we created a complaint tracking report. It works as a common platform for sales and supply chain departments. The report is used both to track individual complaints and to monitor KPI. If a customer has a higher number of complaints than he had in the previous periods it poses a risk to business relationships. Equally undesirable is a situation where some company departments cause avoidable complaints. A clear overview and evaluation of complaints give the company management the possibility to set processes in individual departments to minimize the risk of customer complaints.. Complaints are recorded by the the department responsible for taking customer orders. Any complaint received by the department is entered to the report. The entry includes customer code and complaint´s code. 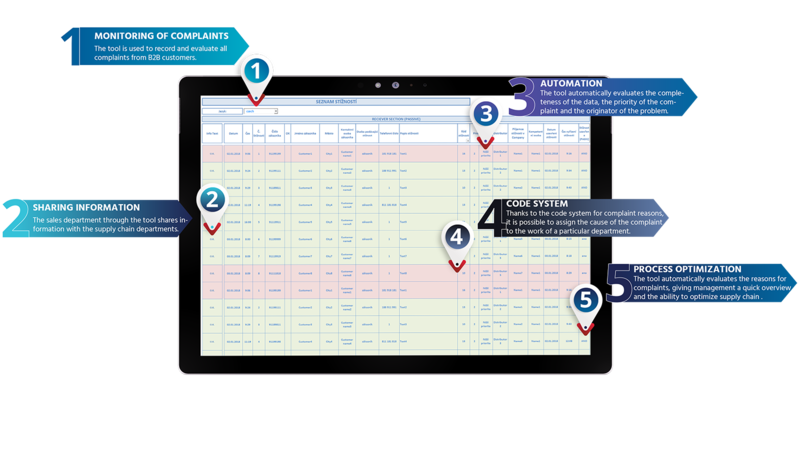 Complaint codes are predefined and indicate which department is responsible for the cause of complaint. Other section of the report is related to resolutions of the complaints. The entry indicates the legitimacy of each complaint, the status of resolution process and the name of the person who dealt with the complaint. The report includes an automatic check of completeness of data necessary for processing of a complaint. It also automatically recognizes complaints which require special attention. For example, when there is an increase in the number of complaints from one customer or when high priority complaints are involved. The report also contains an overview section. Management can track key performance indicators related to service level. There is an overall view of the number of complaints during the year and a detailed view of complaints by their type. The timeliness and completeness of deliveries to customers are key service level indicators. For our clients, we have already created a number of KPI tracking tools. Among those that focus on service level, we canmention especially Customers Summary and Top 20 Customers KPI Review.